Nigerian equities reopened for the second half of 2018 on a negative note as market-wide portfolio rebalancing shaved off N120 billion from market values of quoted companies. Equities had started the second half of 2017 also with a similar loss of N120 billion. 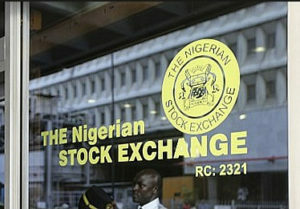 Against the background of a flat performance in the first half, equities traded mostly at discount yesterday at the Nigerian Stock Exchange (NSE) with average decline of 0.9 per cent, equivalent to net capital depreciation of N120 billion within the five-hour trading session. The All Share Index (ASI)-the benchmark index for Nigerian equities declined from its opening index of 38,278.55 points to close at 37,946.92 points. Aggregate market value of all quoted equities also dropped from its opening value of N13.866 trillion to close at N13.746 trillion. Average year-to-date return stood at -0.8 per cent. “While small to mid cap stocks have enjoyed bargain hunting from short-term investors, we continue to observe bearish sentiments on bellwethers. Hence, we expect overall market performance to be bearish in subsequent sessions while emphasizing that valuations remain attractive for entry by long-term investors,” Afrinvest Securities stated. Dangote Cement- NSE’s most capitalised company, led the losers with a drop of N4.90 to close at N224.10. Forte Oil followed with a loss of N3.20 to close at N29.65. Nigerian Breweries declined by N1.10 to close at N113.10. Guaranty Trust Bank lost 50 kobo to close at N40 while Zenith Bank declined by 40 kobo to close at N24.60 per share. On the upside, 11, formerly Mobil Oil Nigeria led the gainers with a gain of N16.90 to close at N199.90. Guinness Nigeria rose by N1.30 to close at N99.05. Flour Mills of Nigeria chalked up 80 kobo to close at N32.80. Julius Berger of Nigeria added 55 kobo to close at N28.05 while C & I Leasing and Oando rose by 20 kobo each to close at N2.27 and N6.60 respectively. Turnover volume and value dropped by 47.9 per cent and 68.2 per cent respectively with the exchange of 244.5 million shares valued at N1.9 billion. Banking stocks dominated the top activities chart. Sterling Bank was the most active with a turnover of 100.35 million shares worth N138.5 million. FBN Holdings followed with 23.7 million shares valued at N251.11 million while Wema Bank placed third with 16.9 million shares valued at N12.4 million.